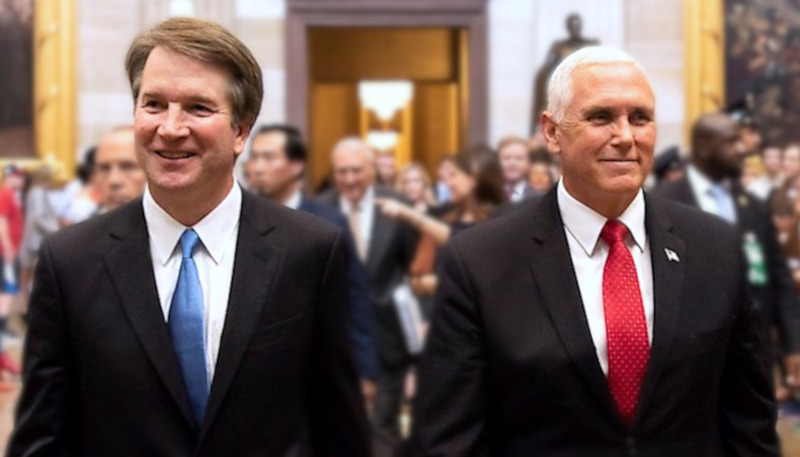 Vice President Mike Pence is prepared to cast a tie-breaking vote to confirm Judge Brett Kavanaugh to the U.S. Supreme Court, should the Senate split 50-50 in a vote on his nomination. Speaking Sunday to CBS’ “Face the Nation,” Pence said he hopes the Senate will not deadlock on the Kavanaugh nomination, while appearing to acknowledge that the White House doesn’t yet know how a handful of key lawmakers plan to vote. “Well we hope not,” he said, when asked if a tie in the Senate is likely. The Constitution empowers the vice president to break ties when the Senate splits evenly on the question before it. The vice president did not say whether the administration had a firm vote count for the confirmation. Though most lawmakers have publicly announced their intentions respecting Kavanaugh, a handful of moderate senators have deferred their decisions until after the confirmation hearings concluded. Most notably, two pro-choice Republicans, Sens. Susan Collins of Maine and Lisa Murkowski of Alaska, have not yet committed to supporting Kavanaugh, though both have generally said positive things about him publicly. “We’ll see where we are,” Pence said, when Brennan pressed as to whether the administration knew of Collins and Murkowski’s plans. At least three Democratic lawmakers standing for reelection in states President Donald Trump carried in 2016 are thought to be in play for Kavanaugh. Those Democrats are Sens. Joe Manchin of West Virginia, Heidi Heitkamp of North Dakota, and Joe Donnelly of Indiana. All three voted for Justice Neil Gorsuch’s confirmation in 2017. Elsewhere in the interview, the VP criticized Democrats for disrupting the hearings or accusing Kavanaugh of impropriety, and predicted he would be confirmed.